The Adventures of Zack and Molly! ECOGIG video series and learning guide now available to the public! 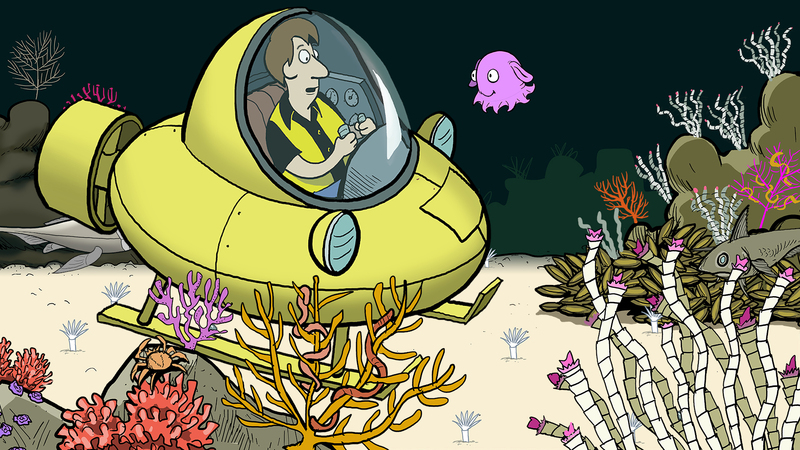 The Adventures of Zack and Molly is a new, three-part video series about an unlikely duo exploring the deep ocean produced by ECOGIG in collaboration with Sherman's Lagoon creator and filmmaker Jim Toomey. Zack is more interested in the small world of his smartphone than the larger world around him. His online request for a roommate is answered by Molly, a tech-savvy Dumbo Octopus on a mission to tell the world about the importance of the deep ocean. Molly wants to use Zack’s apartment for her global communications headquarters, but Zack is skeptical. To win Zack over, Molly takes him to her deep ocean home in the Gulf of Mexico to see its unique features and diverse marine life, and to help him understand how human activities threaten its health. Where can I view the series? Right here on this page! The videos are also available with Spanish subtitles! Learning guide - now available in Spanish! The LEARNING GUIDE provides discussion points, connections to Next Generation Science Standards, hands-on activities, and further resources. The Spanish version of this guide is available here. I would like to show these videos to my students. Can I do that? Jim Toomey is an award-winning cartoonist and filmmaker who created the popular comic strip Sherman’s Lagoon, which appears in over 250 daily newspapers, in 20 countries and six languages. Jim has just completed his 23rd book, published by Andrews McMeel. The strip’s underwater theme explores environmental issues in a way that appeals to adults and children alike. In addition to creating the daily strip, Jim is an award-winning videographer, and has produced videos for the United Nations, the Pew Charitable Trusts and World Resources Institute. His videos feature a blend of animation and live-action that appeals to a broad variety of viewers.